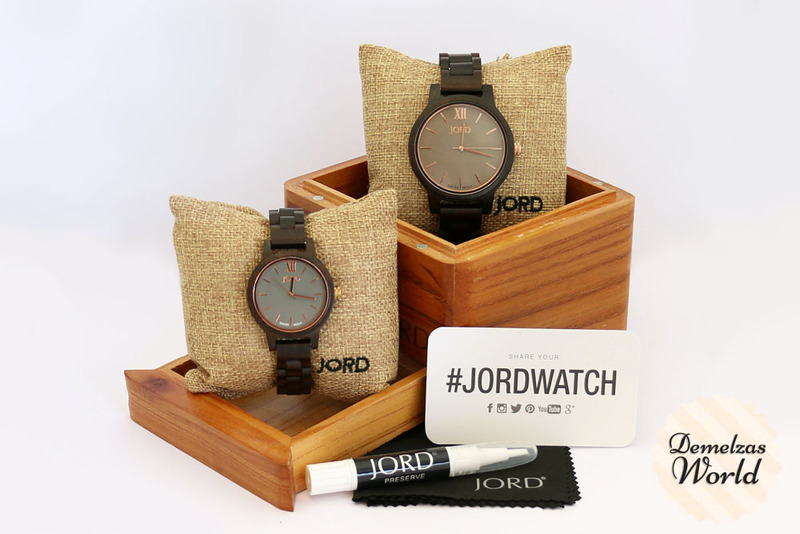 His & Hers with Jord Frankie WoodWatches + GIVEAWAY!!! YOU CAN FIND ALL THE GIVEAWAY DETAiLS AT THE BOTTOM OF THIS POST! The first thing I noticed was the new packaging. 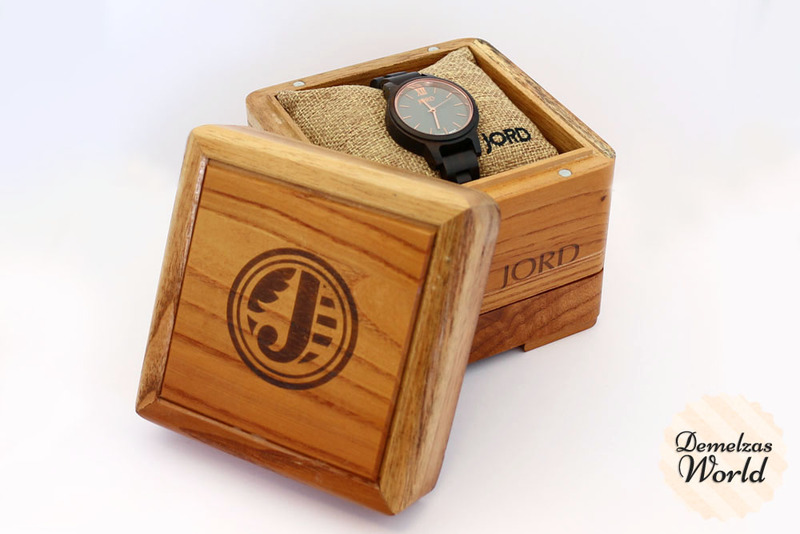 I already own 2 Jord Wood Watches, my Fieldcrest in Zebrawood and my Sidney in Maple Wood and both of them came with the same wooden box where you just slide the top off the box. The new packaging is still a wooden box but this time you can take the top off and it has a little drawer as you can see in the first picture in this post. In the drawer you find items like the card and booklet and ofcourse at the top of the box there is the watch and a cleaning cloth. Let me first start with my watch. 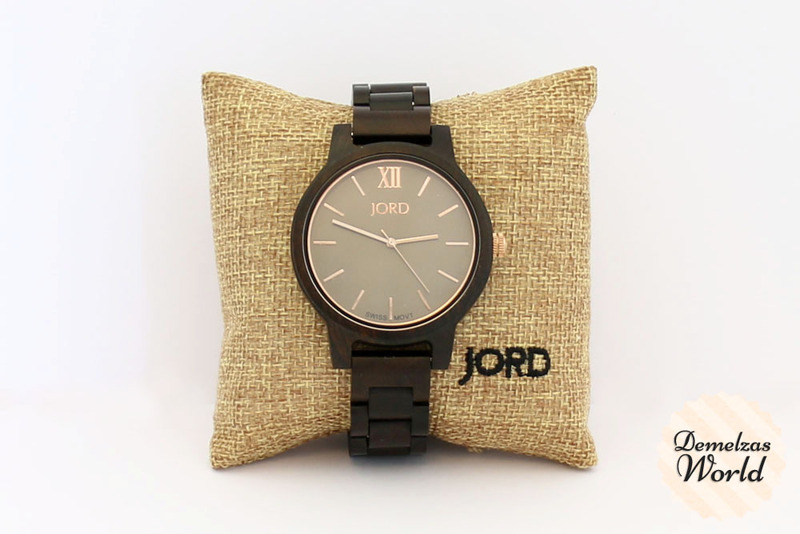 I already own a light and medium coloured watch so this time I wanted a dark one, now I have a Jord watch for every outfit. 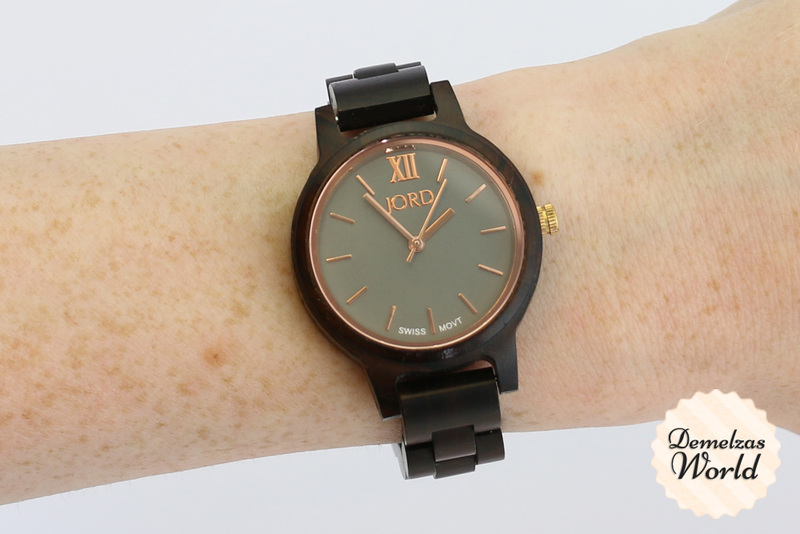 I noticed the Frankie 35 in Dark Sandalwood & Slate with Rose Gold. To be honest, I would never combine the slate/grey color with dark brown and rose gold myself but when it arrived I was immediately in love and I think all colours complement each other very well. Because of the grey color the pink doesn’t look “too” pink and this way it looks classy and sporty at the same time. The size of the case (35mm) is perfect for my small wrists. 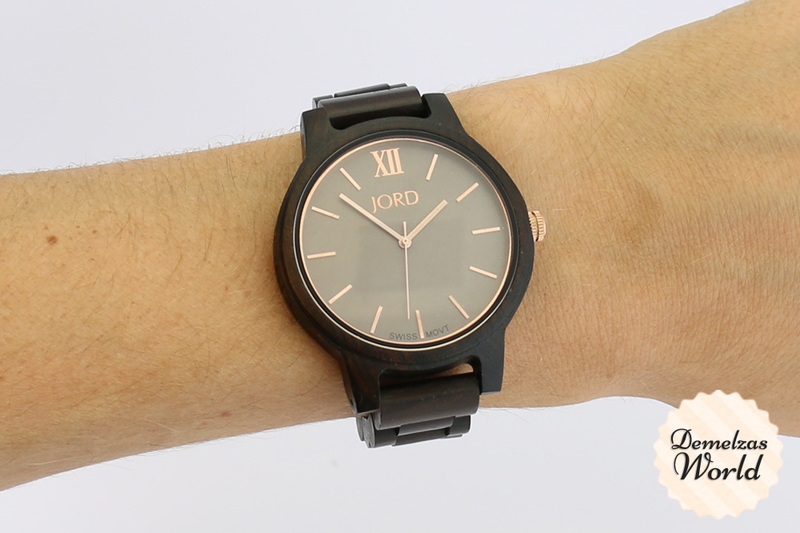 Next, the watch that my boyfriend choose. He knew right away that he wanted this one, he had no hard time choosing because he wanted one that was dark and subtle so this was the one for him which ofcourse was great because now we had matching watches! His is called the Frankie in Dark Sandalwood & Smoke with Rose Gold. The smoke color is more warm toned than my slate color, it’s still grey but definitely more with a brown undertone, it’s gorgeous. From the moment he got the watch he used it every single day, this really surprised me because he never had a watch before. I tried to convince him before that he needed a watch because they make great birthday or holiday presents but he never wanted one … until he saw this one. I was a bit scared that once it was here he would hardly use it but he is so happy with it that he wears it all the time. 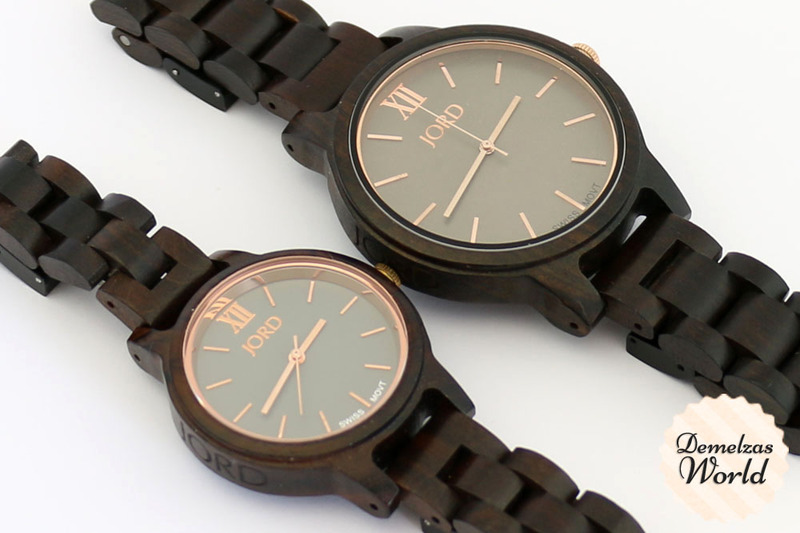 Here is a picture of the two watches together, this ways it’s better to see the Frankie 35 vs. Frankie. Here you can really see how much an impact the slate and smoke colour have on the rose gold pointers. The rose gold looks a lot more pink because of the slate dial than the Frankie version and that is ofcourse perfect so the bigger one has a more “manly” look. 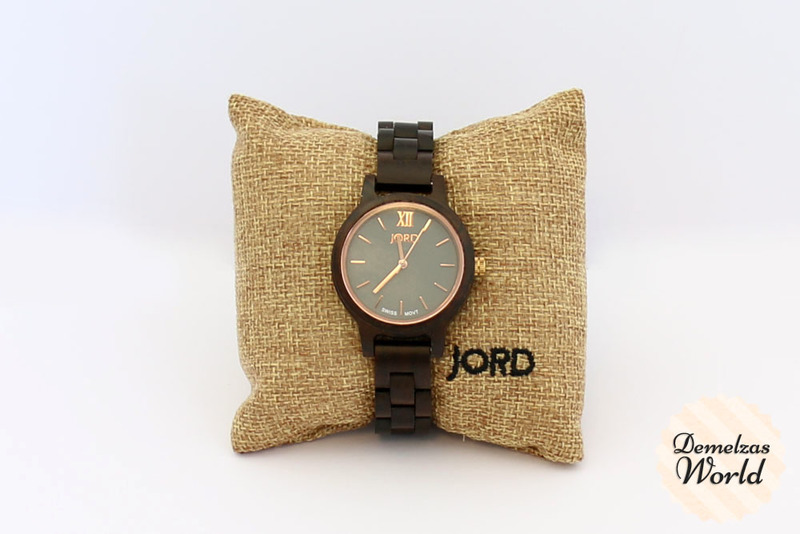 Some things that are good to know: Jord has free worldwide shipping, they make sure that the watch is already sized so you can wear it as soon as it arrives and comes with 1 year warranty. What do you need to do? Fill in your information over here! The giveaway ends 20 august 2017! PS. Did you know Jord is pronounced as Yoad? Like toad but with a Y? I’ve been saying it wrong this whole time! 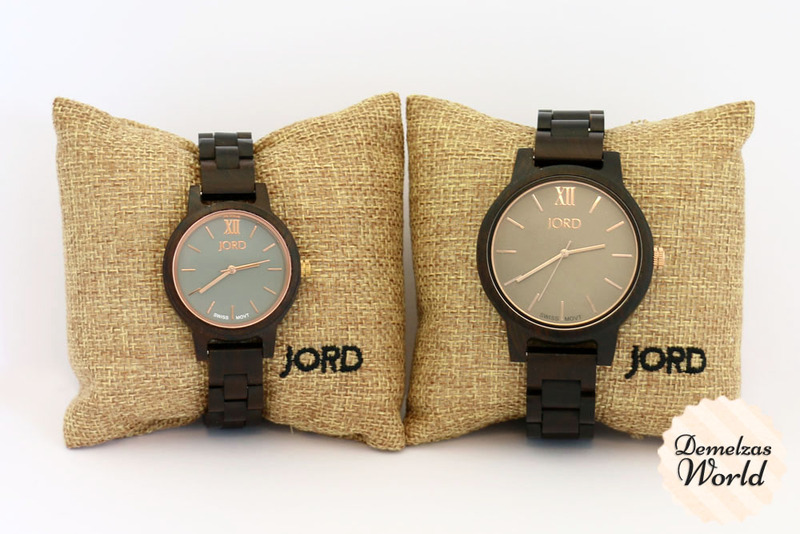 Great blogpost, these watches are beautiful! I love the way they match so very well with each other. Your boyfriend and you have the same taste! I’ve entered the give away, so fingers crossed! What a nice giveaway! Your pictures are beautiful, this makes me really excited to win a nice watch like this. I entered the giveaway so let’s hope for the best! Thanks for this amazing giveaway :). I loved these watches ever since you showed them over here, keeping my fingers crossed ;). Love how the watches look on both of your wrists! Entered the giveaway too, yay!